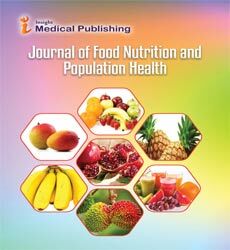 Journal of Food, Nutrition and Population Health is an international open access peer reviewed publication that aims to promote public health by emphasizing the importance of food and nutrition. The journal explores the current research in these fields and constantly updates the developments on food and nutrition research. The journal covers several key aspects in this field by including research on Nutrition, phytonutrients, food science, Bioavailability of nutrients, Human nutrition, health sciences, Clinical nutrition, Micronutrients, public health, Trace elements, and nutraceuticals. The journal encourages advancements in the areas mentioned above in the form of research articles, reviews, commentaries, case studies and letters to the editors. The editorial manager system facilitates a user friendly article submission, review and publication. Manuscripts that are thoroughly peer reviewed would ensure the best standards in the industry. Food additives are substances added to food to enhance its flavor or appearance or to preserve it. Food Additives also having some nutritive value. These may be salt, monosodium glutamate, or citric acid, used in the commercial processing of food as preservatives, antioxidants, emulsifiers, etc. Food additives afford the convenience and enjoyment of a wide variety of appetizing, nutritious, fresh, and palatable foods. Food additives are substances added to food to enhance its flavor or appearance or to preserve it. Additives also having some nutritive value. These may be salt, monosodium glutamate, or citric acid, used in the commercial processing of food as preservatives, antioxidants, emulsifiers, etc. Food additives afford the convenience and enjoyment of a wide variety of appetizing, nutritious, fresh, and palatable foods. Food Additives are added to maintain or improve safety and freshness of food, to improve taste, texture and appearance etc. Spoilage is the process in which food deteriorates to the point in which it is not edible to humans or its quality of edibility becomes reduced. Various external forces are responsible for the spoilage of food. Food that is capable of spoiling is referred to as perishable food. Health equity refers to the study and causes of differences in the quality of health and healthcare across different populations.Health equity is different from health equality, as it refers only to the absence of disparities in controllable or remediable aspects of health. It is not possible to work towards complete equality in health, as there are some factors of health that are beyond human influence.Inequity implies some kind of social injustice. Thus, if one population dies younger than another because of genetic differences, a non-remediable/controllable factor, we tend to say that there is a health inequality. Malnourishment is a condition in which food or supplements are either insufficient or in excessive amount of such that the eating regimen causes wellbeing issues. Not enough nutrients is called undernutrition or undernourishment while too much is called overnutrition. The relation between food and health has been archived adequately for another control to rise: sustenance financial aspects. This rising exploration field concentrates on the interdependency between dietary propensities, wellbeing and open costs. Created and creating nations are confronting testing wellbeing issues, and a developing number of them are eating routine related-under nutrition, diabetes and heftiness for instance. The last two fall into the classification of non-transferable infections (NCDs), as of late highlighted by the World Economic Forum as "one of the three most noteworthy dangers to worldwide prosperity. Nutritional genomics is a science studying the relationship between human genome, nutrition and health. Nutritional genomics is the study of how foods affect our genes and how individual genetic differences can affect the way we respond to nutrients (and other naturally occurring compounds) in the foods we eat.It can be divided into two disciplines: Nutrigenomics and Nutrigenetics. Nutritional supplement is to provide nutrients which are not consumed in sufficient quantities. Supplements include vitamins, minerals, fiber, fatty acids, or amino acids, among other substances. Nutritional supplements are added to the diet to boost overall health and energy, to provide immune system support and reduce the risks of illness and age-related conditions, to improve performance in athletic and mental activities, and to support the healing process during illness and disease. Nutrition Supplements are group of nutrients that are used as supplementary diet but they can’t be substitute for a healthy diet. These are coming in a variety of forms like liquids, pills, gel form, capsules, powders etc. Nutrition supplement conation one or more ingredient (vitamins, minerals, herbs etc.) There are different types of nutritional supplements. For example Vitamins and mineral supplements contain micronutrients that help to function healthy body smoothly. Herbal supplements are dietary supplements used in medicinal purpose. Herbal supplements are also known as botanicals. Perishable foods are those likely to spoil, decay or become unsafe to consume if not kept refrigerated at 40 F° (4.4 °C) or below or frozen at 0 F° (-17.8 °C) or below. Examples of foods that must be kept refrigerated for safety include meat, poultry, fish, dairy products, and all cooked leftovers. Refrigeration slows bacterial growth and freezing stops it. There are two completely different families of bacteria that can be on food: pathogenic bacteria, the kind that cause foodborne illness, and spoilage bacteria, the kind of bacteria that cause foods to deteriorate and develop unpleasant odors, tastes, and textures. Population health has been defined as "the health outcomes of a group of individuals, including the distribution of such outcomes within the group". It is an approach to health that aims to improve the health of an entire human population. This concept does not refer to animal or plant populations. The Population Health concept represents a change in the focus from the individual-level, characteristic of most mainstream medicine. It also seeks to complement the classic efforts of public health agencies by addressing a broader range of factors shown to impact the health of different populations. In epidemiology, a risk factor is a variable associated with an increased risk of disease or infection. Sometimes, determinant is also used, being a variable associated with either increased or decreased risk. A stabiliser is an additive to food which helps to preserve its structure. Typical uses include preventing oil , water emulsions from separating in products such as salad dressing; preventing ice crystals from forming in frozen food such as ice cream; and preventing fruit from settling in products such as jam, yoghurt and jellys.